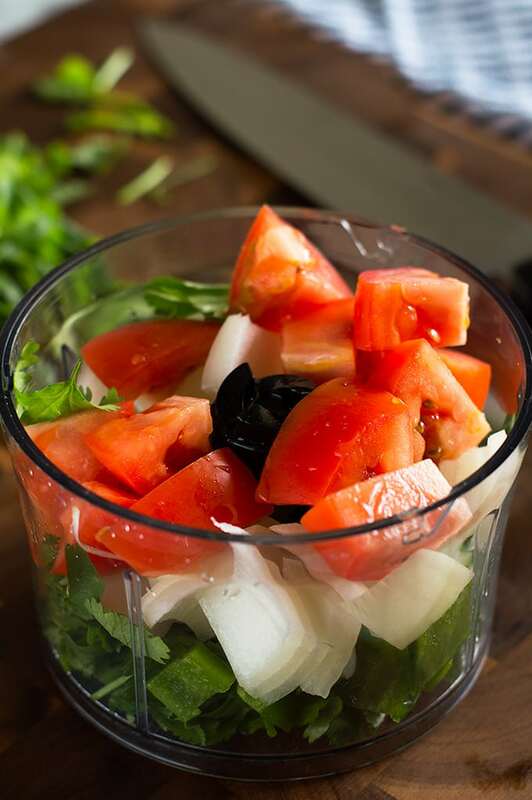 This delicious and easy small batch of Pico de Gallo recipe makes just enough for a single meal so nothing goes to waste. 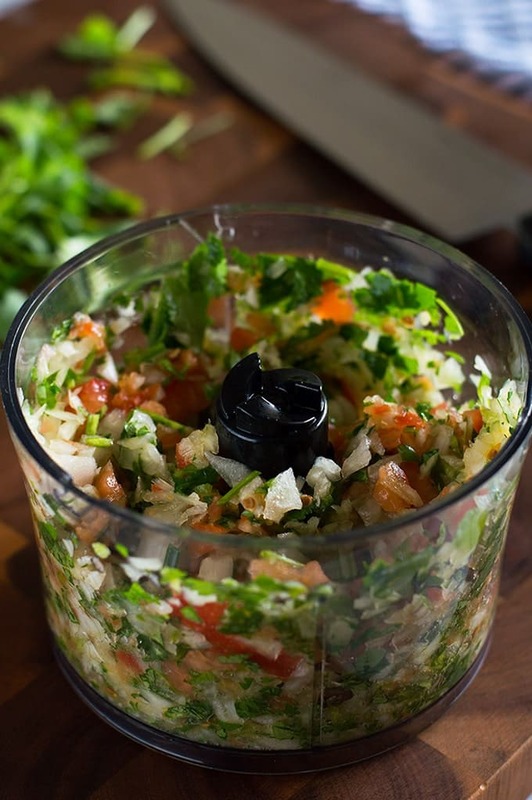 I’m sharing a super simple and easy recipe with you today, a Small Batch of Pico de Gallo! I always feel funny posting such simple recipes because I wonder if anyone really needs them, but then I remember that two of the most popular recipes on the site are my fabulously simple Butter and Garlic Green Beans and two-ingredient Oven-baked Beef Ribs, and I think I’m maybe thinking too hard. Plus, figuring out how to make a small batch of homemade pico de gallo was a total game changer for me because I LOVE pico de gallo. It makes everything taste better, but if you buy it from the store, it’s always so expensive and sold in such big containers that most of it ends up going bad in my fridge. This recipe will run you just a couple bucks, makes the perfect amount for a single meal, and if you have a chopper attachment for your immersion blender, it takes approximately two minutes to make. And I’m just going to take a hot second to plug immersion blenders in general. I wouldn’t put them on the same tier of must-haves as your pots and pans, but if you have Amazon credit, a birthday coming up, a little extra cash, give them a look! * I didn’t think I need an immersion blender until I got one, and now I use it all the time because it’s so versatile and easier to clean than my food processor and blender. Anyway, even if you don’t have a mini chopper, this recipe is super quick to throw together since it’s just a little batch. 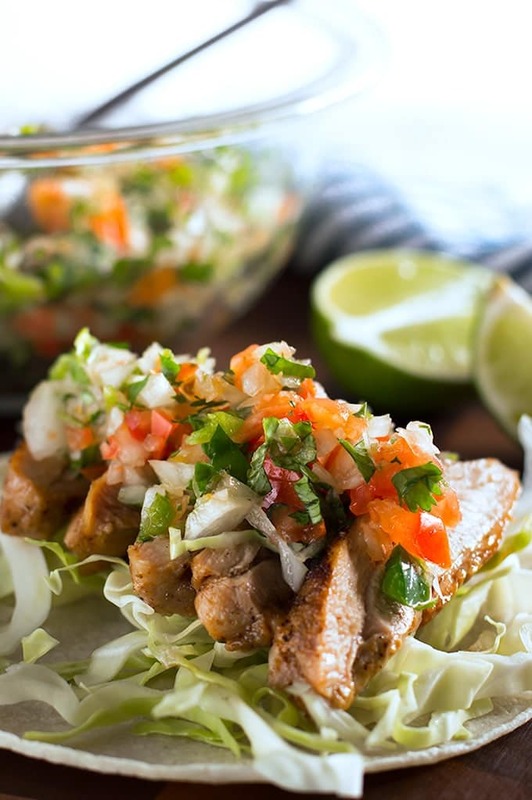 Once you chop everything, you just toss your veggies in a bowl, add a squeeze of lime, and instant upgrade to whatever you are serving it over! And come back next week, because I’m serving this pico de gallo over some fab chipotle tacos that I think you’re going to love. Very roughly chop tomato, onion, jalapeño, and cilantro. Place jalapeño, cilantro, and onion in the chopper. Add tomato and lime juice over the top and process until pieces reach desired size. Add salt to taste if desired. 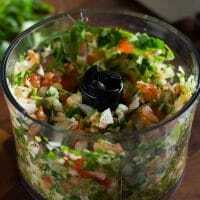 Finely chop tomato, onion, jalapeño, and cilantro. Combine in a small bowl and squeeze lime over the top. Stir everything together. Add salt to taste if desired. *Remove jalapeño seeds for less heat. I like my pico de gallo pretty green. 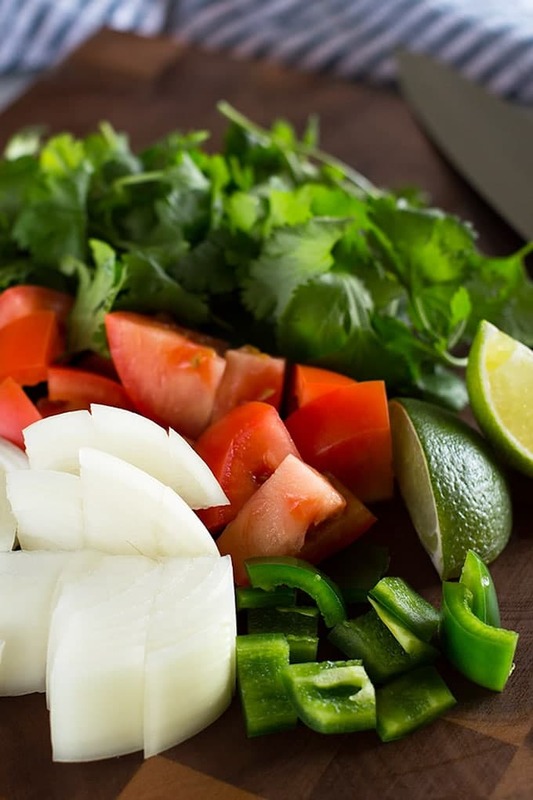 You can cut the cilantro in half and replace it with another half a Roma tomato if you prefer more tomato.